Barkingside As It Was From 1937 1950 - a Memory of Barkingside. I lived in Barkingside from 1937 - 1950. I was 5 whan we moved to Merlin Grove from Forest Gate. There were fields and woods within a few minutes walk, sadly built over now. 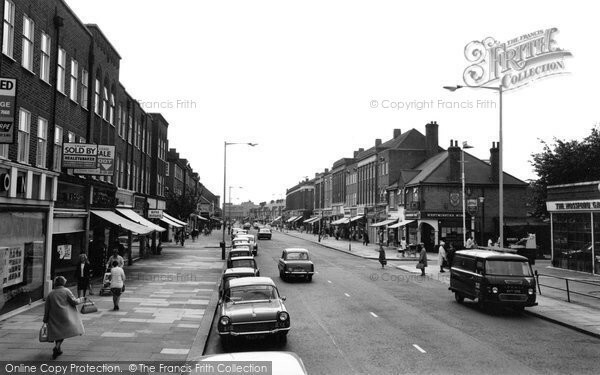 The library was a shop on the opposite side from Sainsburys, another small shop in those days. The library and swimming pool shown in photos didn't exist. Trolley buses plied to & fro along the High Street. There was a fighter station (airfield) in Forest Road behind the railway line (Steam trains). I attended Fairlop school from 1937 till 1943. The air raids were bad during the blitz and later the flying bombs & V2 rockets. Our houses all sustained blast damage, and we used to pick up shraptnel after a night of bombing. My friend & I would go to Newbury Park on a Saturday afternoon to watch Ilford Football Club play in the Isthmian League. My parents are buried in the cemetry adjoining the recreation ground, as it was called then, where I used to play cricket. I have lived in Australia for many years, and have not been back to Barkingside, which I probably wouldn't recognise. A memory shared by James Baker on Jan 16th, 2008. Send James Baker a message.